The Copa America draw took place and groups are ready and in place. Mexico is in group C with Uruguay, Venezuela and Jamaica. Chilean coach Noel Sanvicente, stated Mexico can be considered a favorite. Of course he also praised his team as one not to be underestimated. Psychological warfare may be taking place here, when calling Mexico a favorite. Not that they are in a group of death or anything, but this is a South American tournament including the likes of Brazil, Argentina and Chile. One of the El Tri opponents, Jamaica, is a CONCACAF team that is beatable, Venezuela is not usually a top South American team. Uruguay will be the biggest challenge in the group, on paper. We know that Mexico plays better when they are considered the underdog or are forced to elevate their play to take on giants like Brazil or Argentina. We have also seen Mexico struggle vs CONCACAF teams that they were supposed to handle without major problems. This tournament is an excellent opportunity for Mexico to shine and show their worth versus the powers of CONMEBOL. Also any type of beating given to Uruguay is a good thing. The US National Team is also in this tournament. It will take place in the US after all. So Mexico and the US will essentially be the home teams. The USMNT are in group A with Colombia, Costa Rica and Paraguay. We have seen many “Molero” games with the US and Mexico vs Paraguay, so many would see them as a beatable opponent. Costa Rica has been a top team in CONCACAF, and could pose a challenge for the US. Especially at a time where it may be thought that the US is at a low level of play recently. Consider the US already losing the CONCACAF cup as well as the Gold Cup prior, not even making it to the final. Is this the worst US team to be put together for a long time? 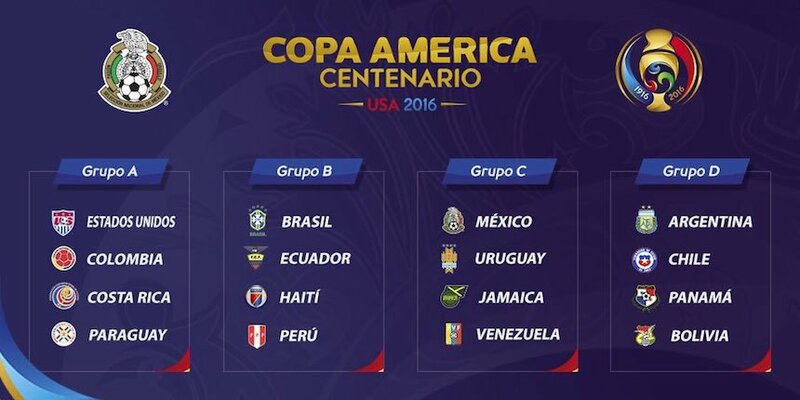 Also is this Copa America the toughest tournament the US will participate in since the World Cup? Not a good time for the US to come in at a low level of play. There is always the fighting spirit that the US can rely on. The underdog grit. The “dig deep” attitude that could lift the US up to Copa America glory. On the other hand, I have seen many US adversaries say the US will go “3 and out”, or even chant “I believe that they will lose!”. It should be an exciting tournament.